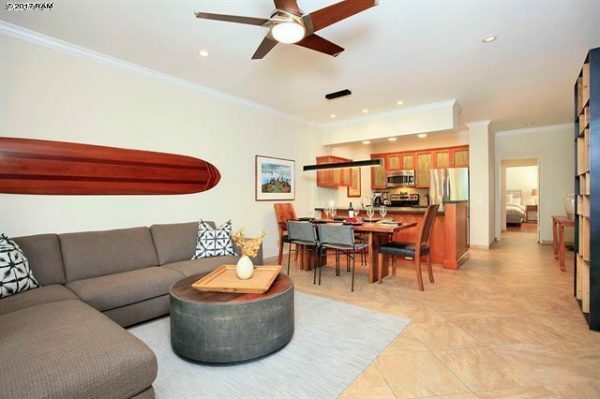 Listed along side 12 other listings in the complex, Wailea Ekahi 18D is a fully upgraded remodel with vaulted ceilings that add another dimension to the unit and allow it live bigger than its already spacious floor plan suggest. 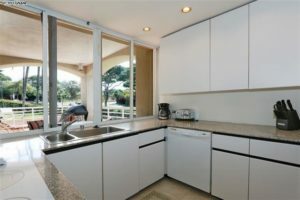 While the kitchen is the focal point of the unit, it is the large outdoor lanai that has my pick as my favorite feature about the unit. Although located on the lower perimeter of Wailea Ekahi, the deep blue tones of Keawakapu Beach sparkle just above the tree line. 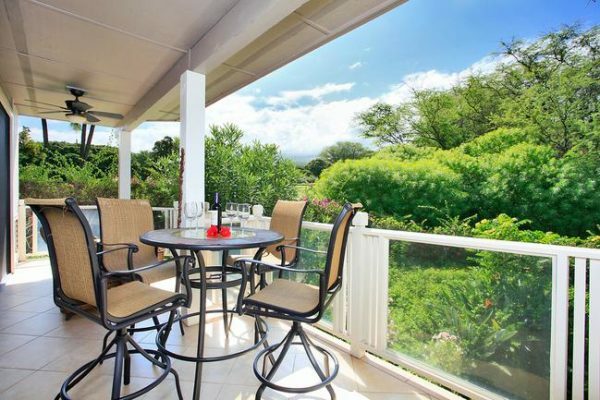 Polo Beach Club 708 is an incredibly unique unit with a stunning corner location that offers picturesque views of Maui out towards the west. From its 7th floor perch, the elevated location in Polo Beach Club, allow for breezy trade winds and unrestricted views that make the outdoor living area even more spectacular. 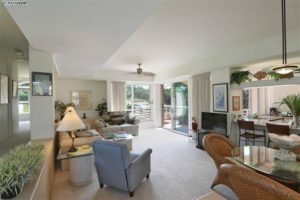 The property is turnkey and is completely ready for immediate use as a short term vacation rental. 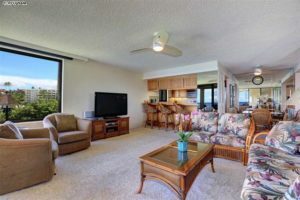 Palms at Wailea 608 is a well maintained unit with a proven short term rental history and heavily booked through various short term rental sites. As a corner a unit, it is very bright and airy with a sunken living room that balances neatly with all of the natural light. The outdoor lanai will be your favorite spot to entertain and relax with an upgraded BBQ area for grilling. Current seller asks that all existing bookings be honored. 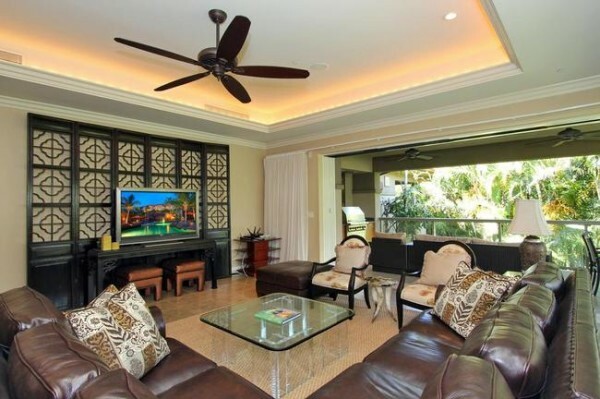 With one of the best community club houses in Wailea, the Palms at Wailea amenities push the complex over the top. 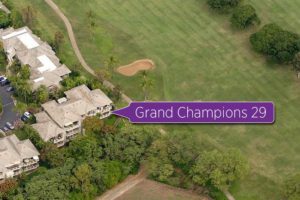 Having completed recent renovation by the current seller, Grand Champions villa 29 offers a quiet 1st floor corner location enchanting views of the Old Wailea Blue Golf Course. 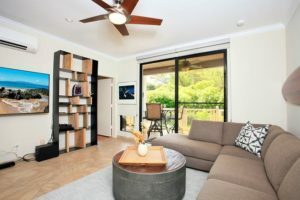 The unit comes complete with covered outdoor lanai that can be used as another focal point of the because of its cool breezes and spacious layout. The best perk of this Grand Champions unit has to be its diverse floor plan because of the lock off flexibility it offers. Technically a 2 bedroom and 2 bath unit, however, there is a lock off feature that can turn the unit into 2 separate units with their own private entries. Under the 2 unit configuration, 1 unit can be used as a studio and the other works as 1 bedroom and 1 bath unit. 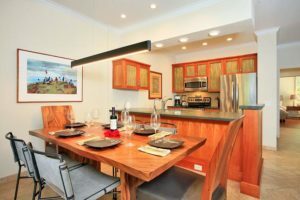 Ho’olei Villa 93-1 is a highly sought after Hibiscus floor plan which is the largest floor plan of the 3 available and offers a total living area of over 4000 sqft. The villa provides all the comforts of a single-family residence while combining all the benefits of condominium living. 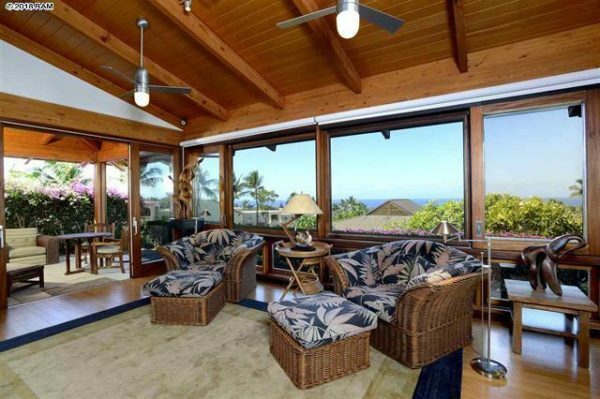 Villa 93-1 in a very private location on the property and is one of the closest units to the Ho’olei pool. You must truly experience the tropical resort setting in person to appreciate the quality. 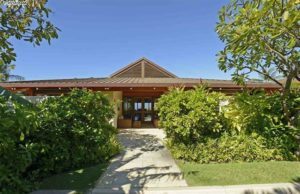 Listed in January of this year, Papali Wailea Villa 6 is the first 2018 listing in Papali Wailea and the only active listing at this time. 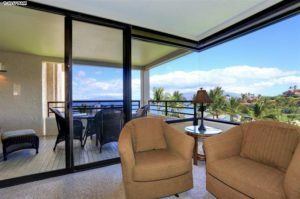 Perched at a higher elevation that some other Wailea condos for sale, the unit is able to offer great views from the living room and outdoor lanai. 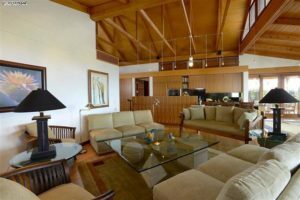 Spread across one floor, the villa is by no means small and is wonderfully designed with vaulted ceilings that create a spacious feel. 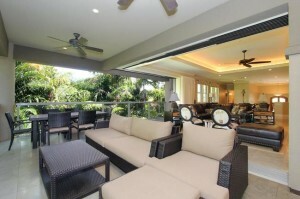 With 3 separate lanais, outdoor space is plentiful where the lines of indoor and outdoor living are non existent. Stay up to date with our Papali Wailea new listing email alerts.